I had the distinct honor of attending a long-range shooting course taught by Accuracy 1st’s Todd Hodnett. You may not know his name because, other than being the instructor in Magpul’s Art of the Precision Rifle DVD, he maintains a rather low profile. But make no mistake, his impact on the shooting world and our nation’s soldiers looms large. Todd trains members from every branch of our military and counts numerous three-letter agencies as clients. In addition to training at his spectacular 30,000-acre facility in Canadian, Texas, Todd travels the globe training our military units and those of our allies. Accuracy 1st’s Utah locations also offers numerous classes for civilians and military personnel alike. Todd also serves as a consultant for numerous manufacturers of rifles, ammunition, optics and accessories. He’s developed several of the ballistic equations used by shooters around the world today, and he even helped Horus develop the H58, H59 and TReMoR reticles. The latter is a sophisticated reticle that speeds up your engagement time by including wind holds, moving target holds and ranging capabilities. The five-day class that I joined in Texas was comprised of eight special operations warfighters from three different groups. Our mornings were spent in the classroom, and we hit the range in the afternoons to shoot from 500 meters to over 2,000 meters. We shot both .308 and .300 Winchester Magnum rifles depending on the target distance. Todd’s definition of “close range” is 800 meters and in, and he’s not having fun until he’s shooting beyond 1,500 meters. And if you think .308s can’t reach beyond 800 meters, you haven’t met Todd. He and his students regularly take them out to a mile and beyond. Todd’s course is centered around getting accurate hits on distant targets as quickly as possible. As such, his goal for the class is for participants to not memorize his lessons, but truly understand their concepts so they will know what elements are less important and which are vital, enabling them to determine what aspects require their attention in the field. Much of the class time was spent integrating the information from a Kestrel 5700 Elite Meter with Applied Ballistic software meter to create accurate ballistic solutions. The morning classroom sessions covered wind formulas, the TReMoR reticle, aerodynamic jump, truing, spindrift, density altitude, high-angle shooting, ammunition temperature and much more. Todd stated that the most common error that he sees is shooters not adjusting their formulas to account for different ammunition temperatures. Gunpowder is temperature sensitive, and some powders are more sensitive than others. A cartridge at 90 degrees will fly faster than one at 20 degrees. A change in velocity will affect the point of impact, especially at long distances. To account for this change, velocity should be measured at a minimum of three temperature points, such as 20, 50 and 80 degrees. The more points, the better. The temperature points should be adjusted higher or lower based on your particular climate. If the sandbox, for example, ammo can reach 150 degrees when stored in a Conex container. So, it’s important to have this data so your Kestrel can calculate the proper ballistic formula. Todd recommends using an inexpensive temperature gun for reading your ammo’s temperature. I brought a few things to the class, including a LaRue Tactical 7.62mm PredatOBR rifle with a 16-inch barrel and capped with LaRue’s TranQuilo M308 suppressor. The PredatOBR is designed to be easily disassembled in the field and clandestinely transported in a very small case. LaRue offers a heavy cloth rollup bag and a metal tool box for the ultimate stealth. The PredatOBR can then be quickly reassembled with minimal point-of-impact shifts. The TranQuilo is completely CNC-machined from a combination of 17-4 PH stainless steel and Incoloy A-286. This suppressor also features a captive locking ring to securely hold it to one of LaRue’s flash suppressors, and the design helps minimize blowback toward the shooter’s face. For aiming, I installed a Nightforce 7-35x56mm ATACR scope, and I used Black Hills’ 178-grain ELD-X rounds for ammo. Black Hills ammunition has always grouped extremely well for me, and the standard deviation of the lot that I brought to the class was just 12. Highly accurate rifles and consistent ammunition are critical for precision shooting. Day one’s range session started with zeroing our rifles, then truing our Kestrel meters for our specific ammo’s performance. We finished the day on the open range by engaging targets from 411 to 1,217 meters. Truing is a concept developed by Todd that customizes the G1 and G7 drag curves to the user’s exact bullet performance. Without this, these drag curves are just estimates that do not exactly conform to the shooter’s ballistics. Furthermore, they tend to be unreliable once the bullet enters transonic and subsonic phases. Additionally, ballistic coefficients provided from manufactures are not always correct, and readings from consumer-grade chronographs can be inaccurate. Truing fixes all of these issues and turns a predictive ballistic algorithm into an actual algorithm for the shooter’s specific weapon system. The truing process is accomplished by shooting at targets located at both supersonic and subsonic distances and comparing the actual results to the predicted results displayed on the Kestrel. The velocity is adjusted in the Kestrel to match that actual shooting results. As an alternative to using G1 and G7 drag curves, Applied Ballistics offers free custom drag curves that Brian Litz created by shooting and tracking each bullet at supersonic, transonic and subsonic speeds. The custom curves can be downloaded to the free Applied Ballistics app and transferred to the Kestrel by Bluetooth or cable. Using the custom curve for the 178-grain Hornady ELD-X bullet in my Black Hills ammo, I had hits at both supersonic and subsonic distances, proving that the Applied Ballistics custom drag curves perfectly matched my ammo. The second afternoon was spent on the wind course, where shooters take positions on a plateau that offers 285 degrees of shooting. This means that your wind gusts from nearly every direction. The terrain varies, too, greatly testing your skills, as topography can dramatically effect wind speed and throw off your readings. Todd describes a “no-wind day” as one with 12- to 14-mph winds. We were blessed with much more than that throughout the week. Most days had 10- to 20-mph winds, and the last day had the highest wind speeds at 24 mph with gusts to 35. We shot in those winds all week and still made our hits! The Kestrel meters offer wind speed readings, but only at the shooter’s location. You must “read” the wind downrange by noting the movement of vegetation, for example. The wind can shift both in intensity and direction all along the way to the target. Wind 90 degrees to the target from either side is considered “full value,” and this requires using the Kestrel’s full wind correction. Corrections for wind from any other direction, with tail or headwind components, are typically smaller. You can multiply the cosine of the wind direction by the wind speed to calculate the correction, or enter the direction of wind into the Kestrel for a corrected reading. Either way, you still have to read the wind and terrain downrange and adjust according. Long-range shooting is both an art and a science. The science portion is well known, and tools like the Kestrel make that portion easy. Also, reading wind is the art, and its only achievable by practice and experience. Accuracy 1st’s wind course is one of the primary reasons that many soldiers return time and time again. The course offers wind speeds and terrain variations not found on most military ranges. Training in these conditions is what helps make snipers effective in locations around the world. On the third day, we hit Accuracy 1st’s “golf course,” which has 18 targets spread along 16 different locations. Shooting distances range from 230 to 800 meters. In each position, we set up our equipment, ranged the target using the mil markings on our reticles, calculated wind corrections and fired. We had three shots to hit each target. Once done, we packed up our gear, jumped in our vehicles, drove to the next spot and repeated the process. We had to hit 15 of the targets from prone. We kneeled to hit two 240-meter targets and stood to hit one 200-meter target. The PredatOBR isn’t light, especially with a scope, suppressor, bipod and ammo. I had never shot such a heavy gun from a free-standing position before, so I had difficulty holding it steady with the winds blowing me around. The technique that worked best for me was to hold the rifle high and slowly lower it. I fired when the reticle hit its mark. The last two days of the class featured shooting from a few different locations and repeating the wind and golf courses. The class was intense, challenging and lots of fun. Moreover, there is nothing like hearing the ping of a round hitting a distant steel target. If you enjoy precision shooting and are looking to test your skills and learn from the best, there’s no better than Accuracy 1st. For more information, visit accuracy1st.com. LaRue Tactical offers rifles in 5.56mm, .260 Remington, 6.5 Grendel and 7.62mm. Additionally, barrels are available in 14.5, 16.1, 18 and 20 inches. LaRue also offers receivers and other components as well other those from other manufacturers. With an expert machinist’s background, Mark LaRue has figured out what components require tight tolerances to be accurate and what tolerances should be loosened for high reliability. Create a routine to follow for each shot. This could start by getting your wind call while you are still standing, checking your turrets as a habit, seeing the target in your scope, getting square to it with your body and then “loading” your bipod slightly. This creates a natural point of aim and helps with recoil management. Controlling recoil is vital so you can get your rifle back on target quickly to see your hits. Use a bubble level and check it on each shot. It is critical to be level, and I watch shooter after shooter not leveling their gun, creating slight misses. For example, canting 2.5 degrees can mean a 0.05-mil shift for every 100 meters, and 5 degrees equals 0.1 mils for every 100 meters. Small errors pile up quickly at long distances. Use the scope shadow to ensure your eye is in the middle of the scope, even while setting up your cheekweld, as this will help in centering your eye for each shot. This helps with parallax issues. Buy the best scope you can afford. You will enjoy your time on the range more and get more out of your rifle. 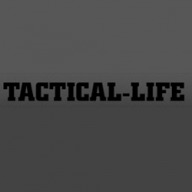 This article is from the November/December issue of Tactical-Life magazine. Grab your copy at OutdoorGroupStore.com. The post Accuracy 1st’s Todd Hodnett Shares Long-Range Shooting Secrets appeared first on Tactical Life Gun Magazine: Gun News and Gun Reviews.